Over the years, the Israeli-Palestinian conflict has been characterized, and for good reasons, as the most intractable and irreconcilable conflict since the Second World War. The status quo erodes every day the prospect of a solution, but the changing geopolitical winds in the Middle East have created a new opportunity to resume peace negotiations. The newly elected French President, Emmanuel Macron, has a golden opportunity to take up the initiative on the basis left by his predecessor. Obviously, President Macron could easily be discouraged if he were to look carefully at the environment of the Middle East. Prime Minister Netanyahu has made no concessions for peace and will never allow the creation of a Palestinian state under his watch. President Abbas is politically incapable of making concessions. President Trump is mired in an internal political crisis, which prevents him from developing a coherent strategy that could break the Israeli-Palestinian stalemate. Domestic conflicts, violent extremism and wars in the region have reduced the room for maneuvering in the Arab countries. However, positive elements exist and can exploited, to turn an assured failure into a real opportunity. Geopolitically, a crescent of mutual interest, starting from the Arabian Peninsula to Israel, exists. Iran's regional ambitions deeply worry Arab states while Israel feels threatened by Tehran. This reality has paved the way for full cooperation in intelligence and collaborative security measures. A diplomatic rapprochement on the Israeli-Palestinian issue is becoming increasingly a possibility in the current prevailing reality. If a rapprochement between Israel and Sunni countries is happening, another rapprochement is evolving between Hamas and the neighboring Arab countries. In any event, Hamas, which must be part of the Israeli-Palestinian solution, has finally dropped its call for the destruction of Israel and rejoined the Arab fold. As a result, on 1st May Hamas amended its founding charter to call for the creation of a Palestinian state on the basis of the 1967 borders and disassociate itself from the Muslim Brotherhood. It is a profound change that opens the door both to intra-Palestinian and regional rapprochement. 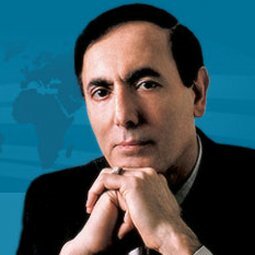 First, President Macron should convince Europe to drop the Quartet, which does not include a single Arab state and makes several unacceptable demands on Hamas: to abandon violence, recognize Israel and ratify previous agreements between Israel and the Palestinians, which are tantamount to Hamas' surrender. Instead, France, with the support of Turkey and Qatar, which have a significant influence on Hamas, must spare no effort to persuade Hamas and Israel to adopt the diplomatic umbrella of the Arab Peace Initiative. It alone provides a common basis for negotiations between Israelis and Palestinians. Let us be clear: the abandonment of the Quartet is a practical necessity. Second, before the resumption of the peace negotiations, which would lead nowhere, France and the European Union must promote a process of reconciliation to mitigate three decisive obstacles to peace: the profound mistrust between both sides, their deep concerns about security, and the illusions of many right-wing Israelis and extremist Palestinians who believe they can have a state on the entire holy land while denying the other a state of their own. For these reasons, future peace negotiations must be preceded by a process of reconciliation for at least two years to mitigate the three impediments that would include: ending hate speeches, halting, or at a minimum slowing the colonization of the West Bank, releasing political prisoners, and engaging in people-to people activities such as sports, academic interactions, tourism, joint economic development projects, etc., to nurture trust and create a climate of good neighborly relations. The essential thing is to restart the peace negotiations, not by coercing each side to make immediate and often unrealistic concessions, but by first building the necessary social and economic preconditions that would lend serious and credible intent to resume peace negotiations. If President Macron wishes to assert himself on the international stage, as he has shown recently, he should convene, with the support of the European Union, an international conference in line with the spirit of the previous French initiative and focus on this new diplomatic approach. A majority of Israelis and Palestinians will support such an approach, on which basis they can urge their respective leaders to act to end this debilitating conflict. The stakes are enormous, France and Europe have an historic opportunity to rise to the occasion.